how do you deal with the doo? Diaper Dawgs is an uncommon cloth diaper brand with a line of products that tackle the unglamorous side of cloth diapering. With finger guards, liners, wipes, sprayers, and a signature sprayer shield, DD products work together to make cloth diapering more sanitary with less hassle from the changing room to the laundry room. Have a small bathroom? Need to keep your diaper sprayer hidden from little hands or questioning guests, or you just want a diaper sprayer maxed out in features at an affordable price? 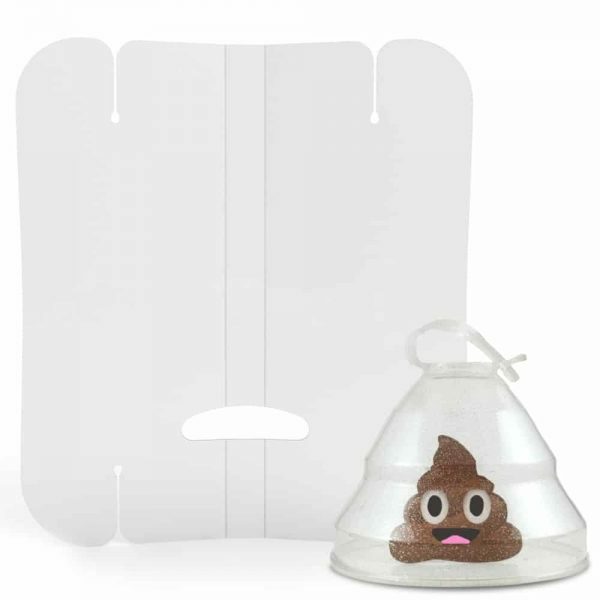 The Diaper Dawgs Hot Dawg Diaper Sprayer stores discretely in your shower, has two spraying modes, AND gives you the option to use hot water without fussing with special plumbing, keys, or adapters. 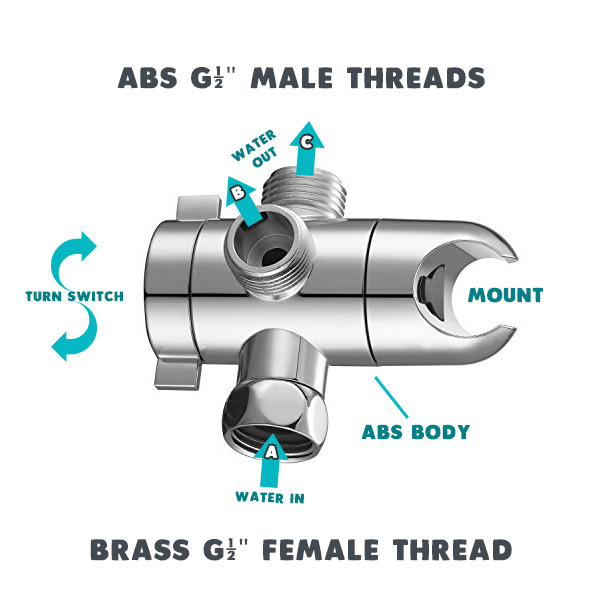 With a standard ½” female thread, it’s guaranteed to fit American plumbing systems (including trailer homes) without playing a guessing game about compatibility. The unique, ultra light spiral hose gives 10 feet of reach with a tailored look that stores right in your shower…without the eye sore of a bulky hose pile tossed on the floor or under a cabinet. It can reach most bathroom toilets that aren’t housed in a separate room. Do you travel to in-laws every holiday or spend time in an RV or shower-equipped camper every summer? Install an extra diverter at those travel locations and when you're ready for a visit, bring only your hose and handle along for travel-friendly spraying! 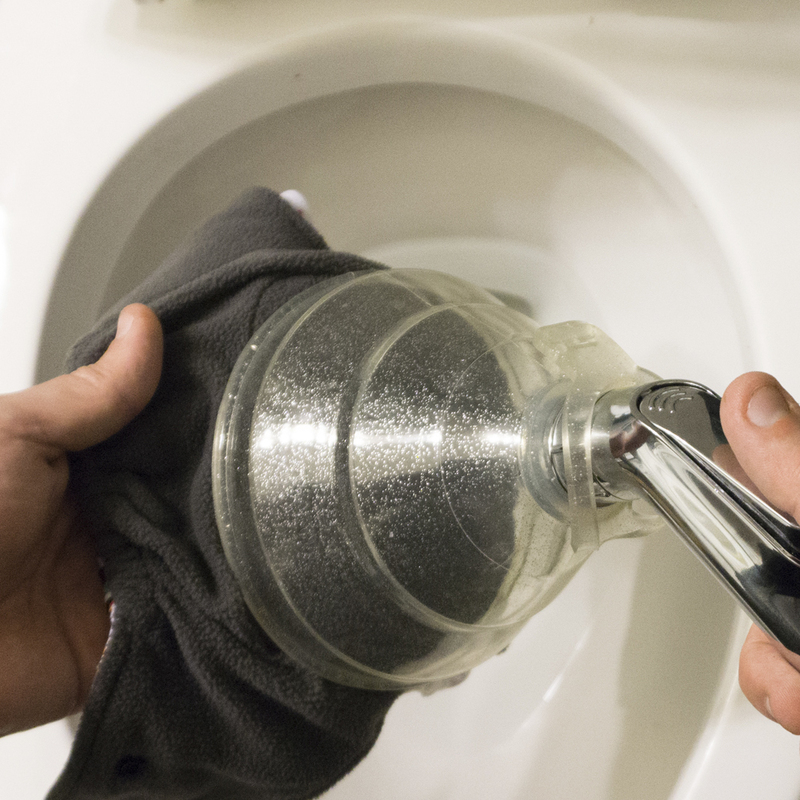 Our powerful cloth diaper sprayer installs in 4 easy steps and has a unique wide or jet stream wash setting for targeting cleaning. Switch spray settings with a simple twist of the nozzle even while the Spray Collar is still attached. We don't stop there – this is the only diaper sprayer that automatically comes with a spray shield to make a truly complete kit at a comparable price to standalone diaper sprayers! 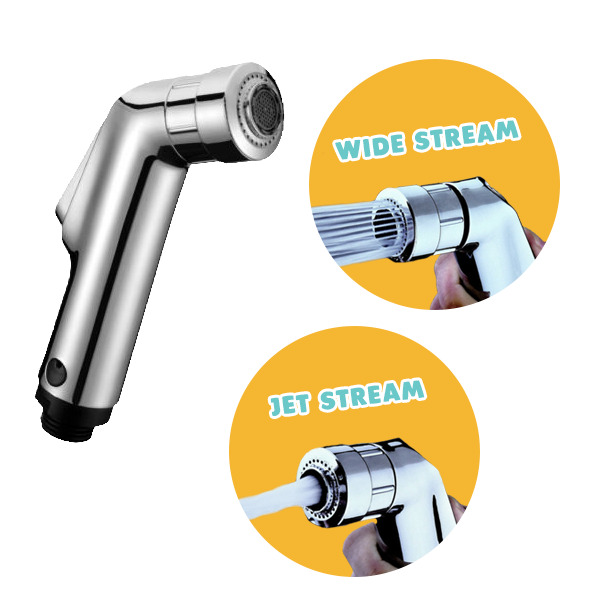 The Hot Dawg Diaper Sprayer has it all: a 10 ft spiral hose, an ABS chrome finish dual mode spray nozzle, an ABS 3-way shower arm diverter with a brass connector nut and built-in mount, and the smallest cloth diaper spray shield on the market...all-in-one package. 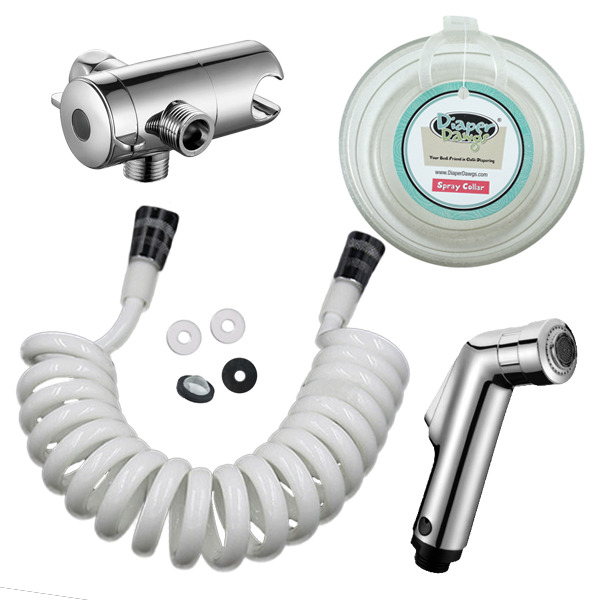 Our complete sprayer kit connects right to your shower line making this diaper sprayer 100% leak-damage proof and backed with a 1-year limited warranty against manufacturer defects! Pick the hottest baby shower gift for a cloth diapering parent that adults can use too – Attaboy! Clean crap in a snap with Diaper Dawgs. 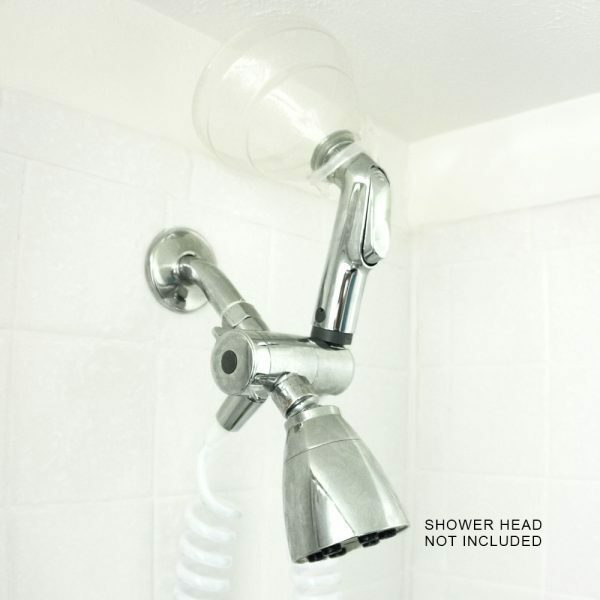 IMPORTANT: After each use, remember to TURN OFF the shower faucet. Failure to turn off after each use may weaken hose and sprayer head. Diaper Dawgs is NOT responsible for damage to parts caused by failure to follow this recommendation. Hey, I'm Aisha. My mission is to make cloth diapering more sanitary with less hassle. Chat with me below!